This Alicot Health Insurance Company review will focus on Alico, headquartered in Wilmington, Delaware. Alico became a part of MetLife in 2010. If your employer does not offer health insurance benefits, you will want to search to find the best health plan and premium for your needs. Enter your zip code now to use our free health insurance quote finder! Alico Health Insurance Company was formed in 1921, headquartered out of Shanghai, China. The company moved to Delaware in the late 1960s. Alico became a part of MetLife in 2010. The company now serves approximately 90 million customers in more than 60 countries worldwide. The Alico website states that both MetLife and Alico insurance policies are unaffected by the merger, and that Alico products still will be available for consumers and businesses. However, the Alico website directs you to the MetLife website for information about health insurance products. It is unclear what the Alico products actually are and if they really are still available. It is possible the Alico products have been incorporated into the MetLife website to accommodate customers. MetLife and Alico offer a wide range of services to clients, including auto, home, disability, life, dental and health insurance. They also provide an array of investment and retirement products. MetLife health insurance typically covers doctor visits, hospitalization, medical tests and surgeries. A few things generally not covered by the health insurance policy include eyeglasses, hearing aids and dental. These can be covered by the various other products offered by MetLife and Alico. Cosmetic surgery will likely not be covered under the MetLife health insurance plan. The only exception to this is to correct a disfigurement that occurs as a result of an accident or surgery. Experimental treatments and preventative care also are not covered by the MetLife health insurance plan. MetLife and Alico offer three types of health insurance. The first is traditional health care. With this type of plan, you pay for the medical bills out of pocket and submit your receipts to MetLife for reimbursement. Once you meet the deductible, a percentage of your bill will be covered by MetLife. The percentage depends on the plan and policy you choose. The second option is a Health Maintenance Organization (HMO). With this plan, you pay a monthly premium as well as a co-payment for doctor visits. If you have health insurance through your employer, the monthly premium usually is deducted directly from your paycheck. The main restriction with an HMO is that you must pick a primary physician who is a part of your HMO network. Choosing a physician not in the HMO network results in significantly higher out-of-pocket expense. The final option is a Preferred Provider Organization (PPO). This option incorporates pieces of the traditional health insurance policy and the HMO. A deductible generally is included for PPO plans. You have the option to see a physician inside or outside of the network. If you see a doctor outside of the network, it will cost you a little bit more out of pocket. The example MetLife gives on their website is 10% for an in-network doctor versus 20% for an out-of-network doctor. MetLife and Alico provide a wealth of information on their websites regarding health insurance policies and other products that are available to consumers. There is no indication as to what the hours of operation are for the customer service line. The website is set to allow visitors to request a free quote. Current customers can also login and manage their accounts. This can include making any changes to the policy, or requesting necessary documents to make those changes. It also includes an option to make payment arrangements for your health insurance premium. All MetLife and Alico companies with a rating on AM Best are rated A or A+. These are excellent and superior ratings repspectively. MetLife is one of the most recognized companies that offer insurance and investment products to consumers and businesses. 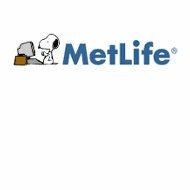 There are many divisions of MetLife that you may come across when performing a search. The company is large and strong as an insurance carrier. If you are looking for health insurance, Alico or MetLife are viable options. It is smart to shop around for the best rate and plan to fit your specific needs. Start your search today by using our free health insurance quote finder – enter your zip code now!